There’s still a lot of misunderstanding around the Toyota recalls. Some recent news on the “fix” for the unintended acceleration issue, which is the most concerning of the recalls Toyota is suffering through with its product quality, is calling into question whether the “fix” really works. None of this is stopping Toyota from showing confidence that they are fixing cars. As part of Toyota’s damage control, they have started running a new commercial they're advertising on Facebook featuring Ronny Malone, a Master Diagnostic Technician from one of their dealerships. 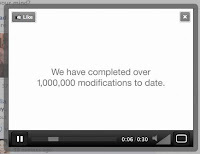 The video’s main message shows the company has completed over 1 million “modifications” -- apparently using the word “recall” is too negative. The commercial also shows Ronny talking about how he has a family too who drive Toyotas and that he and people similar to him are working hard to keep Toyotas safe. Safety and a rapid response to make Toyota owners and considerers feel the problem is being solved is very important to show the company is taking the recalls serious to maintain their primary brand image of quality. “It took 35 years of intense focus for Toyota to get to the top of the industry in this market and around the world, but in just one week Toyota’s masterfully calculated image and hallowed reputation is now in tatters, decimated by a swirling maelstrom of its own hubris and unbridled greed.,” writes automotive journalist Peter M De Lorenzo in his blog the Auto Extremist. Fixing the quality problem is a big issue for Toyota as it defines every product it sells. The brand isn't so much defined by performance, luxury, technology, or even green, except for the Prius nameplate. Instead they are defined by quality and now that has slipped away and they need to regain it fast before the brand loses its primary differentiator. Some current Toyota owners are showing their support for the brand by donning “Loyal Toyota” bumper stickers and posting photos of their Toyota with said sticker on a new Facbook fan page. 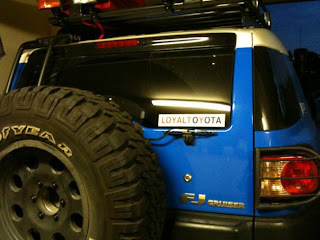 Toyota has even added the LoyalToyota fan page to their favorite pages on the brand’s Facebook fan page. 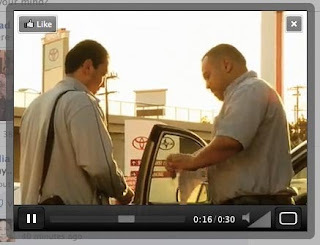 Perhaps Toyota can move away from the Toyota technician ad and adopt some of its owner enthusiasm in a future brand image campaign once they move beyond the recall situation? Toyota Loyal could become a pride campaign featuring real owners and used to rebuild the brand after a very arduous situation. For now, talking about the fixes from one of the people on the field is a genuine way to show the brand is taking this serious and moving quickly to get it right. If they are successfully doing this remains to be seen. Ich finde euren blog trotzdem am besten! Toyato is one of the best reputed brand all over the world. Toyato has to maintain its quality to stay in market. Quality is the most important factor for every material but specially for automotive.If quality of car is not good than there are chances of accidents. Toyota being such a reputed much always give first preference to quality. It is really a great step to improve market reputation and also capturing market share. Quality is the only factor which brings cream customers and i am sure Toyota will succeed .